Strengthening Unions could blunt inequality and wage stagnation. Politically and economically, unions are sort of an odd duck. They aren’t part of the apparatus of the state, yet they depend crucially on state protections in order to wield their power. They’re stakeholders in corporations, but often have adversarial relationships with management. 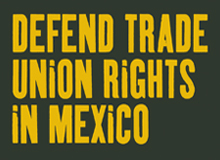 Historically, unions are a big reason that the working class won many of the protections and rights it now enjoys, but they often leave the working class fragmented and divided – between different companies, between union and non-union workers, and even between different ethnic groups. But there are many reasons to think that this theory of unions isn’t right – or, at least, is woefully incomplete. Since past data tends to be patchy, Farber et al. combine a huge number of different data sources to get a detailed picture of unionization rates going all the way back to 1936, the year after Congress passed a law letting private-sector employees form unions. The authors find that as unionization rises, inequality tends to fall, and vice versa. Nor is this effect driven by greater skills and education on the part of union workers; during the era from 1940 through 1970, when unionization rose and inequality fell, union workers tended to be less educated than others. In other words, unions lifted the workers at the bottom of the distribution. 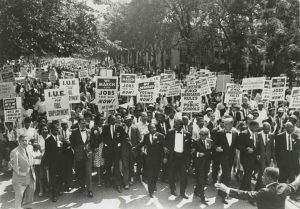 Black workers, and other non-white workers, tended to benefit the most from the union boost. 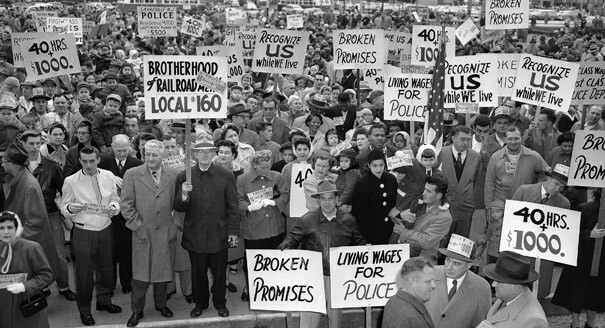 Given the contrast between the golden age of 1940-1970 and the current age of spiraling inequality, wouldn’t it make sense to bring unions back? Perhaps. The key question is why private-sector unions mostly died out. Policy changes – right-to-work laws, and the appointment of anti-union regulators, probably played a key role in reducing unionization. But globalization may have also played a big part. Competition from companies in countries like Germany – where unions often bargain to hold down wages in order to increase their companies’ competitiveness — might have made the old American model of unionization unsustainable. Now, with even stiffer competition from China, the challenge of re-unionizing the U.S. might be an insurmountable one. But it might be worth it to try. Other than massive government redistribution of income and wealth, there’s really no other obvious way to address the country’s rising inequality. Also, there’s the chance that unions might be an effective remedy for the problem of increasing corporate market power – evidence suggests that when unionization rates are high, industry concentration is less effective at suppressing wages. Repealing right-to-work laws and appointing more pro-union regulators could be just the medicine the economy needs. So supporters of free markets should rethink their antipathy to unions. As socialism gains support among the young, both economists and free-market thinkers should consider the possibility that unions – that odd hybrid of free-market bargaining and government intervention – were the vaccine that allowed the U.S. and other rich nations to largely escape the disasters of communism in the 20th century. It looks like it’s time for a booster shot. GMB, hailed a ‘hat trick’ of legal wins for Uber drivers after the Court of Appeal upheld upheld a ruling that they should be classified as workers. In October 2016, the Central London Employment Tribunal ruled in GMB’s favour – determining that Uber drivers are not self-employed, but ARE workers entitled to workers’ rights including holiday pay, a guaranteed minimum wage and an entitlement to breaks. 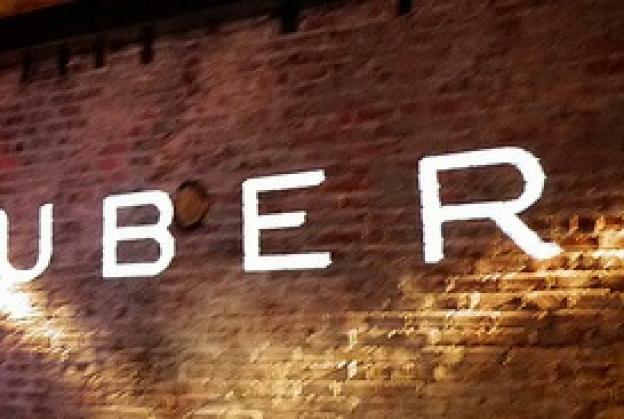 Instead of accepting the judgement of the courts, Uber took their case to the Employment Appeal Tribunal (EAT) last year, which ruled against the ride-sharing company. The Court of Appeal judgement is Uber’s third legal defeat on this issue in as many years. “We’re now at a hat trick of judgements against Uber, they keep appealing and keep losing. Uber should just accept the verdict and stop trying to find loopholes that deprive people of their hard won rights and hard earned pay. “This is the perfect early Christmas present for GMB’s Uber members, but this case is about the wider ‘gig economy’ too. “We are very pleased that the Court of Appeal has again upheld the Employment Tribunal’s findings that Uber drivers are workers of Uber. On December 12th the Hungarian Parliament adopted the “Slave Law” which could require workers to do overtime work up to 400 hours a year. Further, the reference period is increased to 36 months. The law was passed without proper consultation with social partners, through misuse of the Parliamentary procedures. The changes would create a significantly worse situation for workers, practically introducing a 6 day working week. Although it would be linked to the agreement of the parties concerned, the power relation in the world of work is not an equal partnership of employer and worker. An employee is always in a vulnerable position, very often not in position to contradict to employers’ requirements. The extension of the working time reference period to three years means the employee may be obliged to work overtime for a long period, while waiting for the compensation for years. This legislation is contrary to the 2003/88/EC working time directive fixing the reference period for a maximum of 12 months. Hungarian trade unions oppose these steps which are against fair and decent employment conditions. Over the past days strong protest actions have brought large masses to the streets. 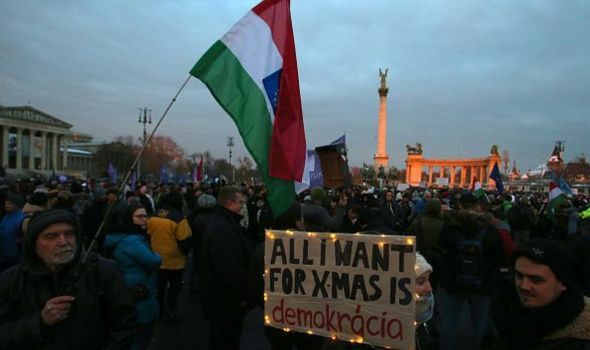 The Hungarian Trade Union Confederation (MASZSZ) demands the withdrawal of the law and has appealed to the President of Hungary not to sign it and refer it back to the Parliament. MASZSZ call for meaningful, proper consultation with social partners. Click here to sign a letter to the President on the Slave Law! Unite, has launched a blueprint to tackle bandit capitalism in the UK economy and stop future Carillion-style collapses. The document’s publication is especially timely given the growing fears that outsourcing giant Interserve could suffer a Carillion-style collapse. 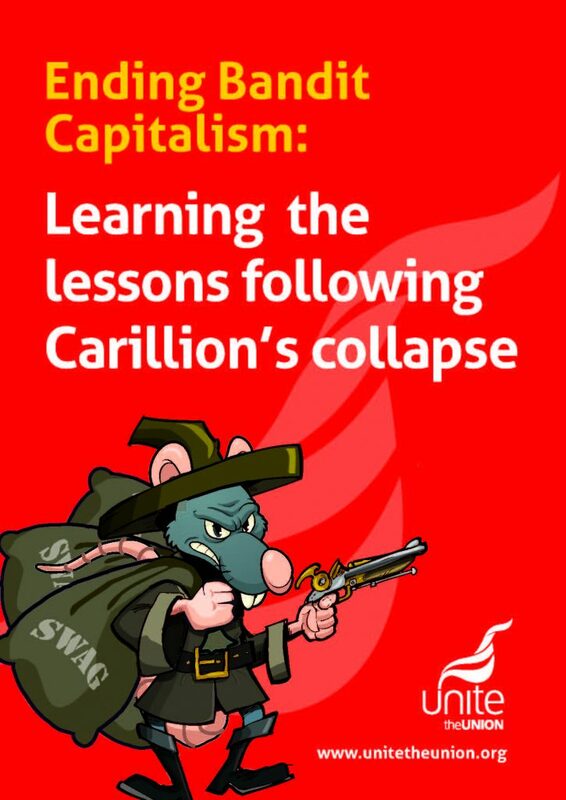 The document Ending Bandit Capitalism : Learning The Lessons Following Carillion’s Collapse contains a package of measures designed to introduce better regulations and stricter rules to prevent companies being able to embellish their accounts and provide an entirely false trading position, which had disastrous consequences for Carillion and its workforce. The comprehensive report for the first time details the sorry saga and circumstances of Carillion’s collapse and the role played by the directors, the government and its auditors, in the company’s demise. There are further chapters which examine the outsourcing of public sector contracts and how the construction industry is organised, which were both major contributory factors in Carillion’s demise. The document also studies the circumstances which resulted in Carillion’s pension fund being bailed out by the pension protection fund and the legal consequences as a result of the company entering compulsory liquidation, making it particularly challenging for the thousands of workers who lost their jobs to seek compensation. • The number of legal hurdles that must be cleared before cases taken for workers, who were employed by a company in compulsory liquidation can go forward, must be reduced. Since Carillion’s collapse Unite, which had over 1,000 members at the company, has led the way in calling for action to be taken to bring those responsible for the company’s collapse to justice. Unite has called for a public inquiry into Carillion’s collapse and an immediate criminal investigation into those responsible. Unite assistant general secretary Gail Cartmail said: “This document is designed to set out the many factors that led to Carillion’s collapse and to ensure that the bandits are chased out of UK plc. 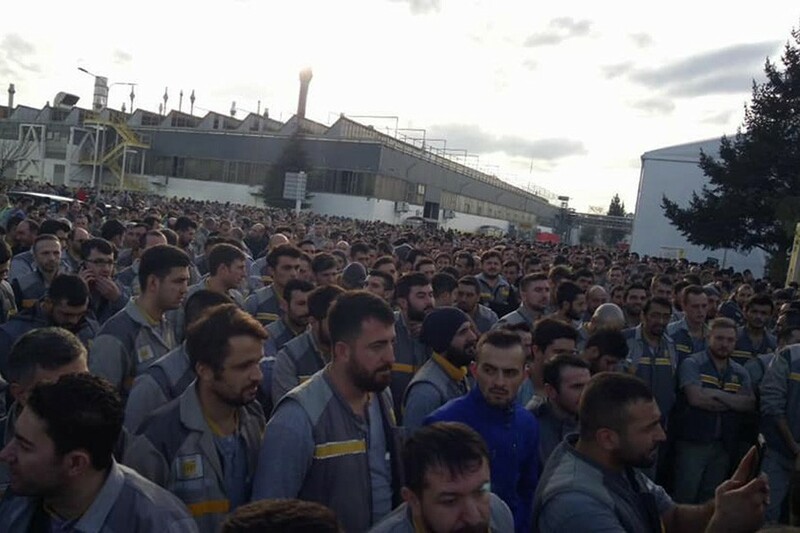 “What is too often forgotten when company’s collapse is that thousands of workers both directly employed by the company and in their supply chain lose their jobs, through absolutely no fault of their own. The untold human misery of being dumped out of work without warning must be tackled once and for all. “The reforms that Unite has set out provide a clear blueprint of what is needed to begin tackling the worst excesses of the financial and corporate culture which currently exists. “With the revelations that Interserve which has a very similar structure to Carillion, is also in severe financial difficulties these reforms cannot be introduced a minute too soon. “It is a damning indictment that nearly a year after Carillion’s collapse no one has been charged with doing anything wrong, yet thousands of workers lost their jobs and millions of pounds of taxpayers’ money has been spent on clearing up the mess. The UK government has introduced what it claims to be “the biggest package of workplace reforms for 20 years” – but unions have described it as “a failure to shift the balance of power away from bad bosses and a missed opportunity”. Legislation will increase fines for bosses who have deliberately victimised their staff and legislation will be introduced to give workers details of their rights from the first day in a job, such as eligibility for sick leave, pay levels, maternity and paternity leave. The reforms, outlined by the Tory business secretary Greg Clark, plan to stop the misuse use of the ‘Swedish Derogation’ for agency workers (pay between assignments) which allows businesses to opt out of equal pay arrangements for agency employees. The reforms, covered in a report called the ‘Good Work Plan’, are based on the recommendations made by Matthew Taylor. One of the most controversial aspects of the changes is that the reforms would not ban zero-hours contracts, (which Taylor had recommended), because that would “negatively impact” more people than it helped. 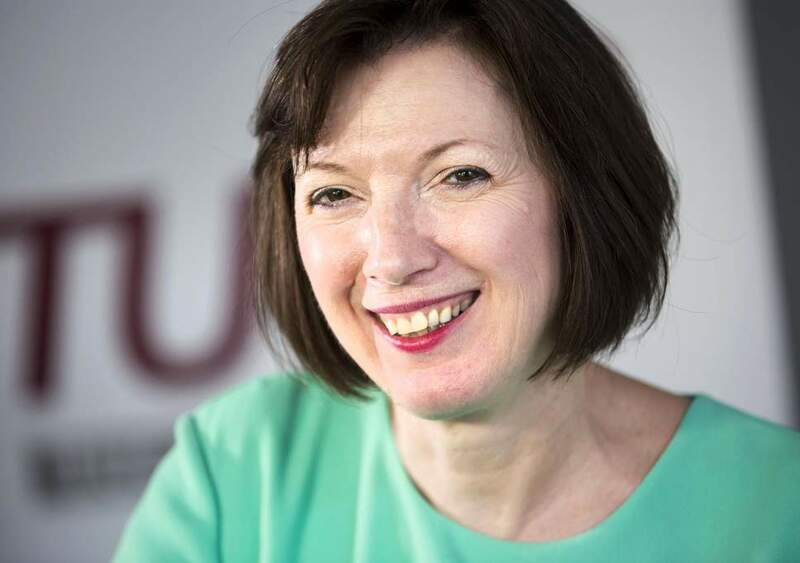 TUC General Secretary Frances O’Grady said the government had missed an opportunity to bolster the rights of zero-hours workers. “These reforms as a whole won’t shift the balance of power in the gig economy. Unless unions get the right to organise and bargain for workers in places like Uber and Amazon, too many working people will continue to be treated like disposable labour. The right to request guaranteed working hours is no right at all. Zero-hours contract workers will have no more leverage than Oliver Twist,” she said. Labour shadow BEIS Secretary Rebecca Long Bailey, shadow business secretary, said the reforms will do little to combat the government’s attacks on workers’ rights such as an increase in employment tribunal fees, the Trade Union Act and low wage growth. “These proposals do nothing to tackle the growing number of people on precarious zero-hours contracts and with their botched Brexit deal threatening jobs and rights they’ll have to do a lot more than this to reassure workers,” she said. Tim Roache, General Secretary of the GMB union published a full blog in the Huffington Post. Read it here. that the destruction of original witness statements by the police, which was concealed from the defence and court by the prosecution, amounted to an abuse of process; the broadcasting of the Red under the Bed documentary by ITV halfway through the trial was highly prejudicial to the pickets and should have led to the halting of the trial. From the Official Shrewsbury 24 Campaign Website – click here. December 3rd, 2018 The fight goes on for justice for the pickets.